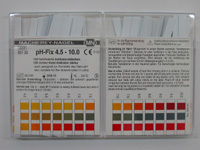 Hach Aquachek nitrate and nitrite test strips. 25 test strips. 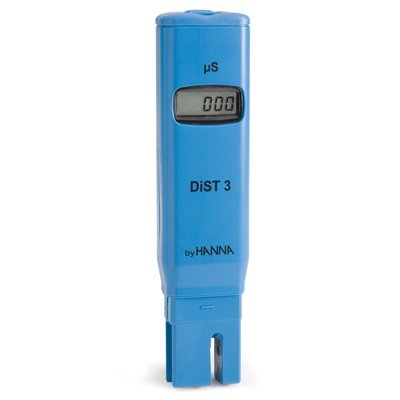 Each strip measures nitrate - N from 0 - 50 mg/l and nitrite - N from 0 - 3 mg/l. 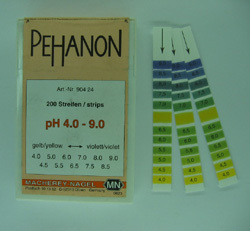 Gradation nitrate - N 0, 1, 2, 5, 10, 20, 50. Gradation nitrite - N 0, 0.15. 0.3, 1, 1.5, 3. 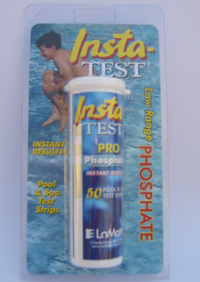 These test strips are suitable for testing nitrate and nitrite in drinking water. Usually levels of 5 to 10 mg/l nitrate indicate some contamination of water supplies. Levels should not exceed 3 mg/l nitrite for drinking. Nitrite is the more serious problem in drinking water. Generally if water is well oxygenated nitrite will not build up. High nitrite is therefore often a symptom of anaerobic conditions. To convert nitrate - N to nitrate multiply the value read from the strip by 4.43.